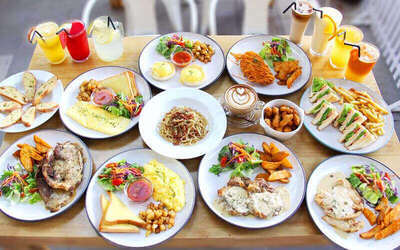 Descend upon sumptous spreads of Western dishes laid out to you by chefs at Heyday Cafe! If you're looking for treats like Eggs Benedict, chicken Cordon Bleu, and chicken piccata, then look no further! Grab this RM100 cash voucher to spend on these delights and more! Valid Mon - Tue, Thu - Sun: 9.30am - 10.30pm (including public holidays).